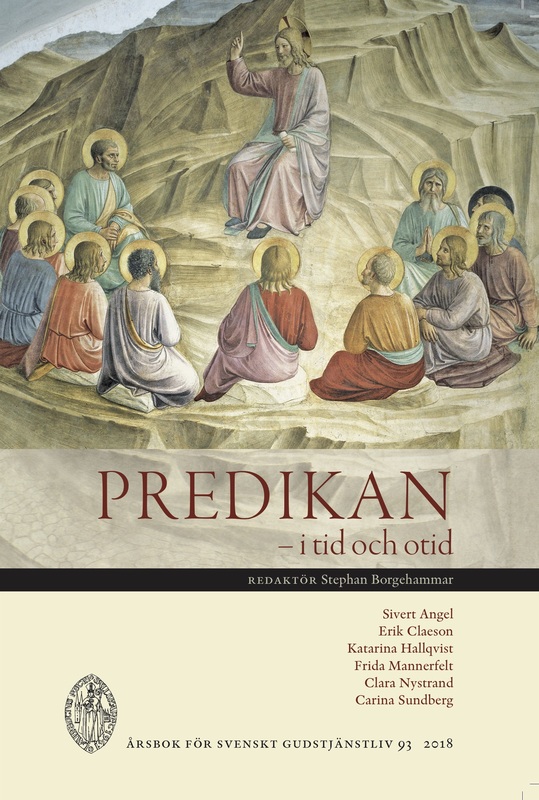 In a case study made in the diocese of Lund in the Church of Swe- den in 2016 I have investigated what preachers say about God in their sermons. 19 manuscripts from sermons held on two different Sundays have been collected. These manuscripts have been analyzed using a scheme developed from Paul Scott Wilson’s concepts of trouble and grace. These terms are in turn based on Luther’s concepts of Law and Gospel. Trouble is everything that describes any kind of trouble that an individual or the whole of humanity is in. It can be in relation to God, the creation or other human beings. Trouble is also the parts of the sermon where the focus is on the human responsibility to act. Grace, on the other hand, describes God’s actions in the Bible and in our lives. In addition to looking for trouble and grace in the sermon manuscripts, I have also analyzed what is being said about God in relational terms. The results show that God and God’s actions are given very limited space in the sermons. The major part of the sermon manuscripts is devoted to trouble. This is especially so when the Bible text being developed in the sermon does not explicitly focus on God’s actions. The case study also shows: (1) that trouble and grace are often mixed in such a way that it is hard to distinguish grace from trouble; (2) that trouble is depicted in creative images while grace is often described in clichés; (3) that grace is described in a way that does not respond to the trouble being preached; (4) that Jesus is mainly represented as a teacher or role model in the sermons and less often as a gift to be received; (5) that a third of the collected sermon manuscripts can be described as anthropocentric, placing man at the centre. I argue that the results of the case study can be interpreted in terms of secularization and I point to three potential problems with omitting God from sermons: (1) preaching in this way does not help listeners to recognize God in their own lives; (2) preaching beco- mes legalistic and devoid of hope when God is left out or left in the margins; (3) such sermons raise many questions about the essence and purpose of preaching.